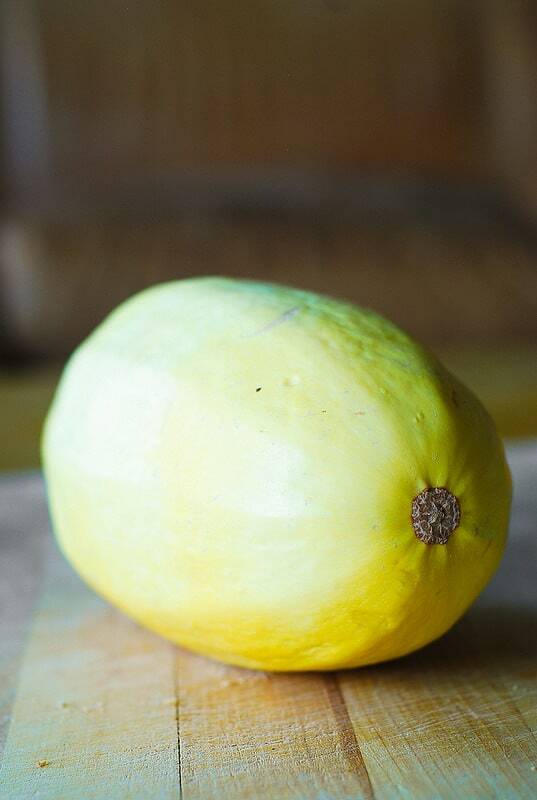 Step-by-step photos and instructions for how to cook spaghetti squash. Also, I provide recipes for how to use cooked spaghetti squash so that the whole family will enjoy eating it. I love spaghetti squash. It’s so easy to deal with it – just cook it in the oven, mix it with delicious ingredients (I have recipes below) and you’re good to go! 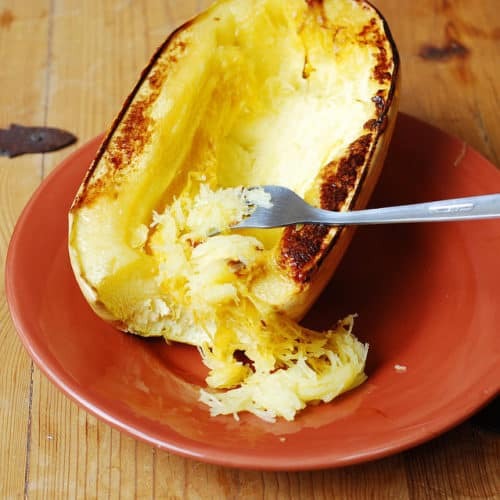 Roasting spaghetti squash could not be easier, but if it is your first time, just follow the instructions. 2) Cut the squash in 2 halves, scrape out the seeds and the fiber out of each half. Spray oil over the cut sides and inside of the squash. 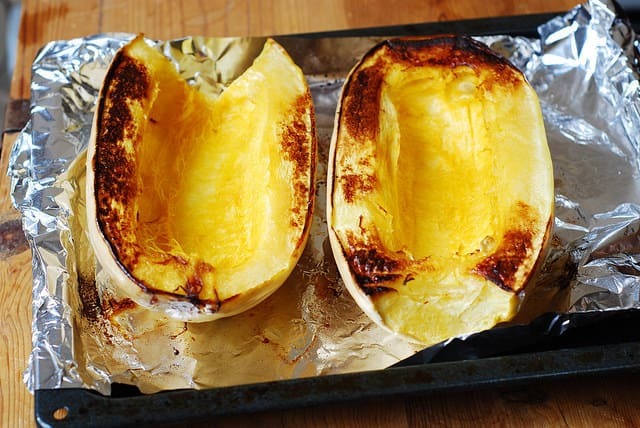 Place the squash on the foil-lined and lightly greased baking sheet cut side down. 3) Bake for about 40 minutes. 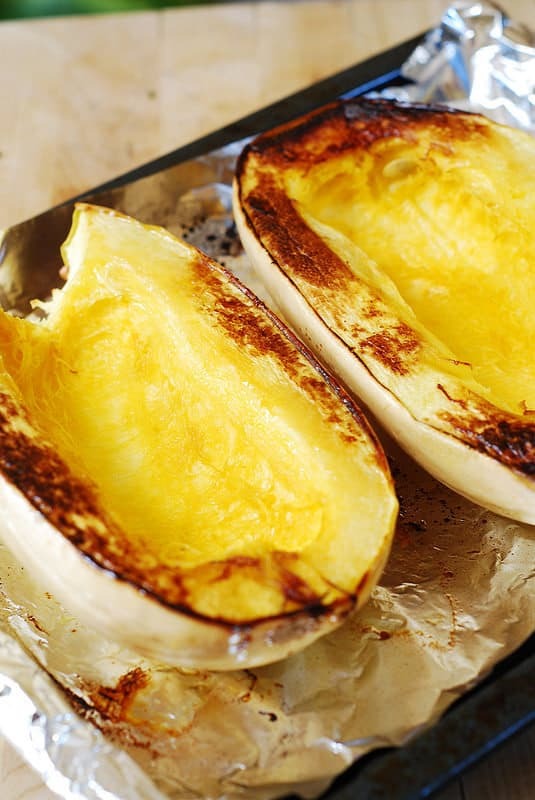 Remove the baking sheet with squash from the oven when it’s cooked through and soft. Allow it to cool right on the baking sheet. 5) After squash cools, scrape squash with a fork to remove flesh in long strands and transfer to a bowl. Your cooked spaghetti squash is ready! So easy! 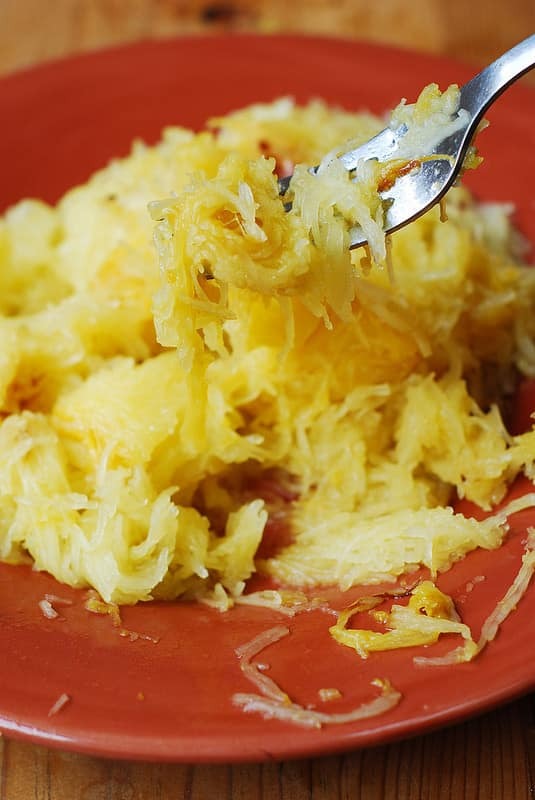 Step-by-step instructions and photos for how to cook spaghetti squash. Cut the squash in 2 halves, scrape out the seeds and the fiber out of each half. Spray oil over the cut sides and inside of the squash. Place the squash on the prepared baking sheet cut side down. Bake for about 40 minutes. Remove it from the oven when it's cooked through and soft. You can check by pulling the baking sheet out of the oven and piercing the squash with the fork - it should be soft. Remove squash out of the oven. Allow it to cool right on the baking sheet. Flip the squash so that cut side faces up – that will speed up the cooling. Cool for about 30 minutes. After squash cools, scrape squash with a fork to remove flesh in long strands and transfer to a bowl. Let it cool. 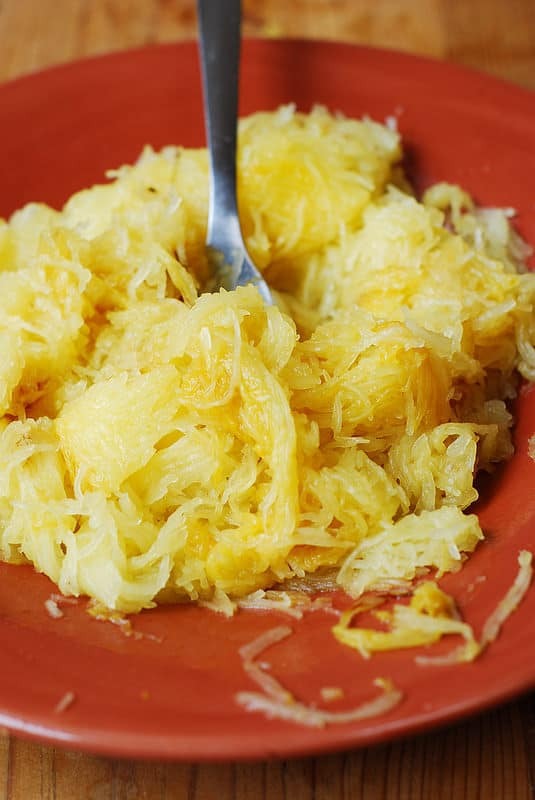 Note: Cooked spaghetti squash can be refrigerated for up to 5 days. 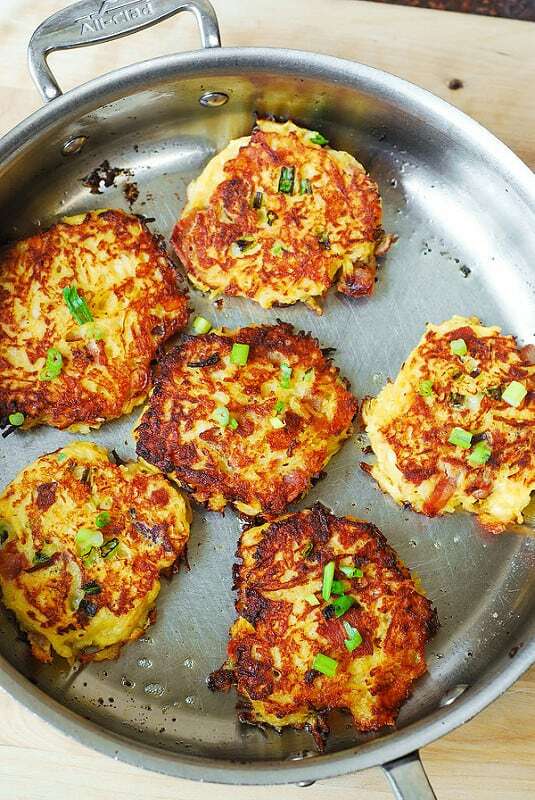 And, here are 4 great ideas (recipes) on how to use the spaghetti squash you just cooked in more creative ways than just pretending it’s pasta! It’s very hard to cut a squash lengthwise. It’s MUCH easier to handle if you pop the entire whole squash in microwave for 2-3 min, depending on size. This should soften it just a bit for easier cutting. Then cut each end off so you have a flat (flatter) surface to use and then slice lengthwise. Significantly reduces the chance of it slipping on you and you slicing your hand. I also use a silicone oven mit underneath it to ensure it won’t slip. In the oven as we speak.. Thank you for the inspiration. 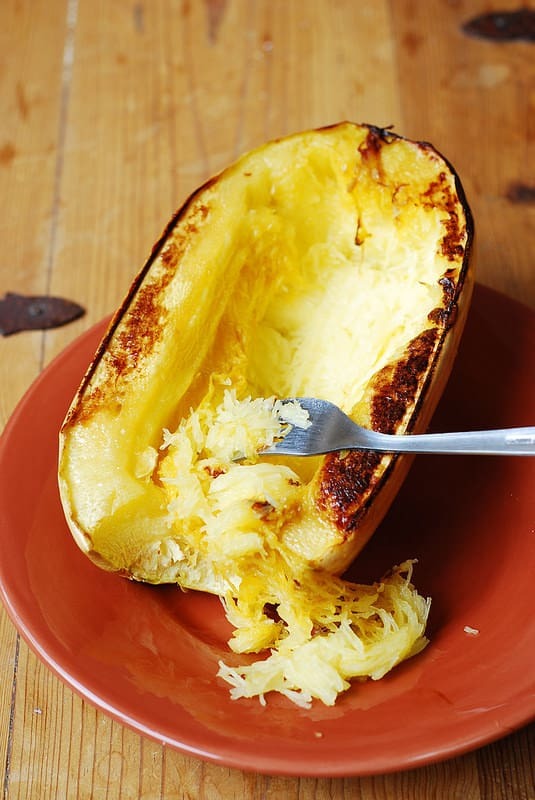 My favorite way to eat the spaghetti squash is with butter and Parmesan cheese with a sprinkle of garlic powder, salt and pepper. Mmmmmmmmmmmm!! 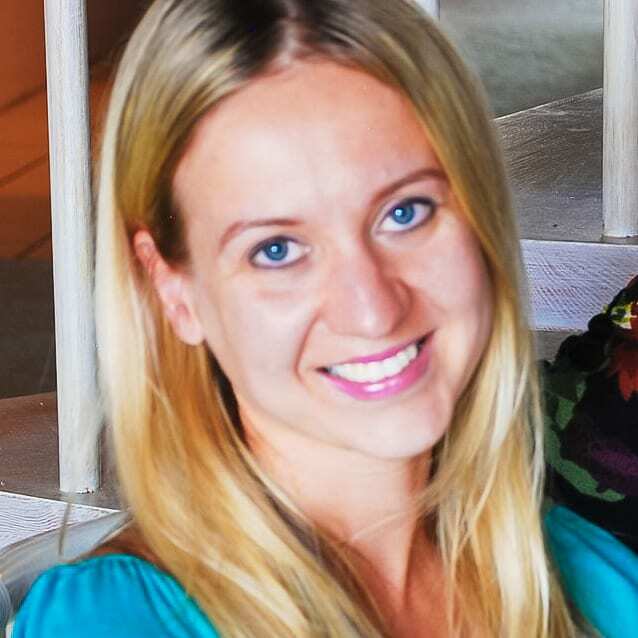 Thank you, Diana! 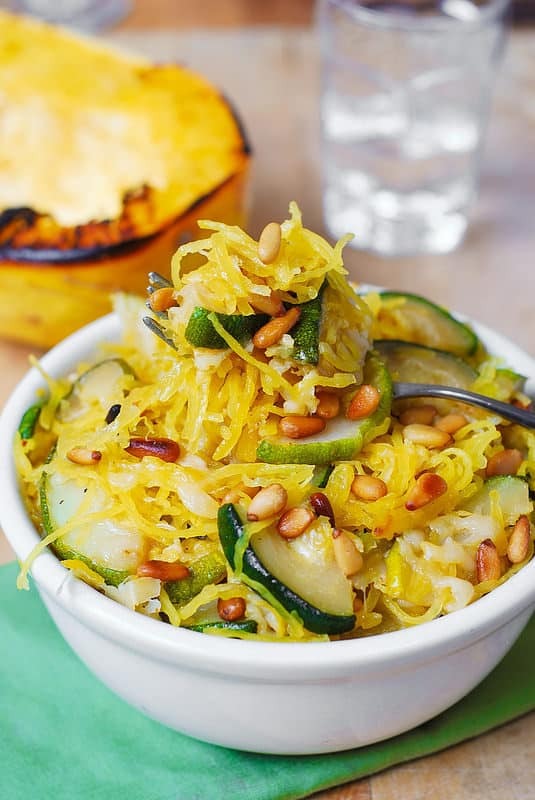 I am glad you’re enjoying the spaghetti squash – it’s a great vegetable! 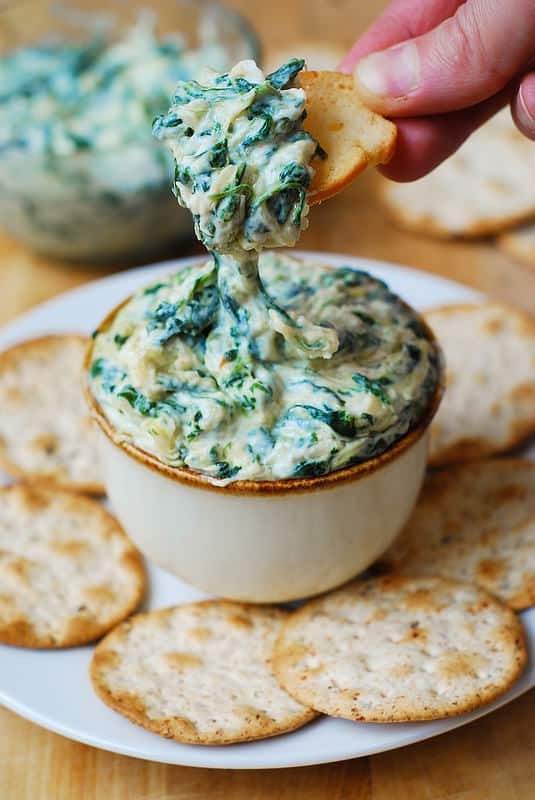 I am definitely a spaghetti squash fan, and I am intrigued with the spinach dip recipe. I love that they behave like pasta without the carbs! I’ve actually never made spaghetti squash! Thanks for this one Julia, I have never tried it and you’ve inspired me! 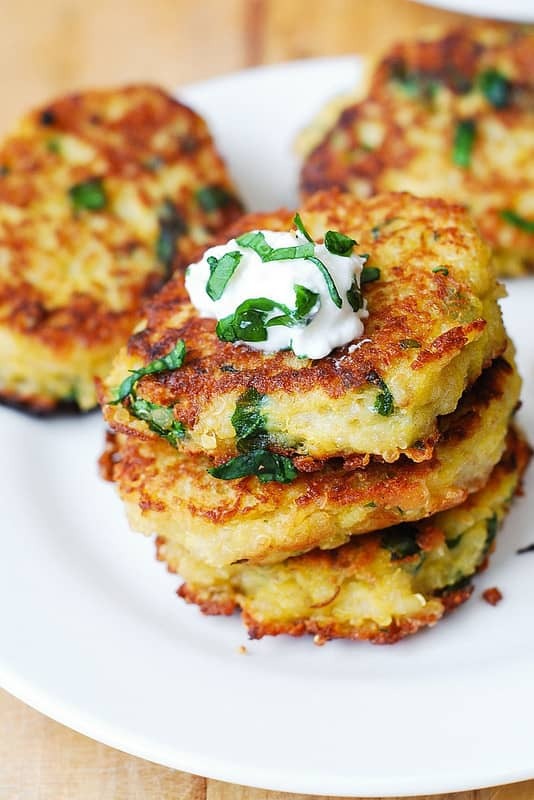 Those patties look so awesome!